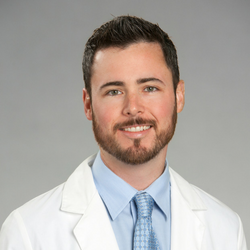 Kyle Bartschmid, PA-C, graduated from the University of Texas Medical Branch in Galveston, Texas with a Masters of Physician Assistant Studies. Prior to joining the team at Texan Allergy & Sinus Center, Kyle worked in the field of orthopedic trauma surgery. As a native Austinite and outdoor enthusiast, he understands the value of allergy and sinus relief, and has a particular focus on preventive measures to improve quality of life for allergy sufferers.